This post by Kathy Kristof originally appeared on CBS' MoneyWatch.com. Erik Weech learned about sneaky banking polices the hard way. A few weeks ago, Bank of America hit the Chicago marketing man with a $35 overdraft fee when he had more than $130 in his account. The bank was apparently "holding" his money for charges that hadn't cleared - only they appear to have been holding three times more than he actually spent. Then, if that wasn't enough, they "reordered" his subsequent purchases in a way that tripled his overdraft charges. Within a couple days, he had racked up $140 in fees. Authorization holds and transaction reordering are among the banking practices taking increasing heat recently from both consumers and lawmakers. Although nickel-and-dime fees are pervasive - just check your cable bill - the big financial institutions have become poster children for customer abuse. With direct access to your cash, they have developed a range of sneaky tricks that can quickly whittle down your account. Use your credit card and you're likely to find that they've hiked your interest rate, perhaps switching it from a fixed-rate to a variable. Don't use your card and you could get hit with an inactivity fee. Fail to fix an overdraft promptly and you could get hit with a zero balance fee — in addition to overdraft charges. Flee the bank and they're likely to slap you with an exit fee. "Consumers would be shocked at how many different tricks the regulators allow banks to use to take money out of their wallets," said Ed Mierzwinski, consumer services projects director at the U.S. Public Interest Research Group in Washington. "As long as the banks disclose in the small print that they are going to rob you, it's legal to rob you." The trick that some consumers consider the sneakiest involves so-called authorization holds. These are for debit card purchases that haven't yet cleared. Sometimes they're for the amount you spent, but they can be for considerably more. Consider Weech's tale of woe. He had $130 in his account on August 31, the same day that the bank inexplicably hit him with a $35 overdraft fee. How did he get charged for an overdraft when he had money in his account? After hours of inquiries, he finally got an explanation of sorts — a vendor placed a hold on the funds in his account, but the hold appears to be for considerably more than he spent. He got no warning from the vendor. He said there also wasn't any indication that the funds he saw in his account weren't available for his use. "The bank tells you that you should be using a check register and keeping track of your account — but how do you keep track of that?" he asked. Bank of America spokeswoman Anne Pace says situations like Weech's happen when consumers use their debit cards with particular vendors — commonly at hotels, gas stations, and car rental agencies that often freeze far more than you actually charged. The biggest culprits are hotels — they wouldn't charge your credit card for your stay until you leave, but if you use a debit card, the desk clerk will put a hold on your account for the full cost of your reservation, plus some estimated amount for incidentals, like using the mini-bar and charging meals to your room. Bank of America blames the merchants for not disclosing the holds and for holding too much: Pace says BofA's debit card agreements warn customers about the chance that these holds could cause overdrafts. What she doesn't say: That same debit card agreement also says the bank doesn't have to honor that hold if it thinks the amount is an estimate. Weech's hold was cleared by the next day, but he soon hit another problem. He made three purchases — one of which, late in the day, pushed him into a legitimate overdraft. But the bank reordered the three charges from largest to smallest, emptying the account faster and ensuring that each subsequent charge would incur yet another $35 fee, he said. Reordering your checks and debit transactions to withdraw for the largest items first — regardless of when each transaction occurred — is a common practice among the nation's biggest banks. Bankers say it's a service to customers, ensuring that your most important payments, such as your mortgage, don't bounce. Bunk, said Weech. "They paid all the charges," he said. "If they're going to pay everything, the only reason for reordering is to charge more fees." Some big banks are starting to get the message — encouraged, perhaps, by the threat of legislative action. Both banks eventually refunded a few of the fees, but both consumers said they felt unjustly ripped off. Elliot filed a complaint with bank regulators. Weech started searching for class action attorneys. But the real problem may be that they both used debit cards. Although banks maintain debit transactions are like writing checks but without the paperwork, access to your funds doesn't get frozen the moment you write a check. Quite the opposite. 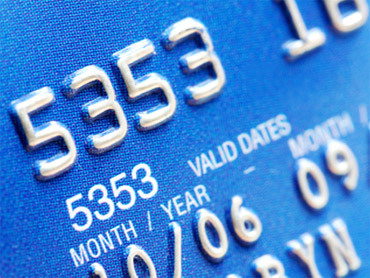 Using a credit card has gotten treacherous, too, said Gerri Detweiler, consultant with Credit.com. That's because a vast number of issuers have changed rates and terms in anticipation of a new consumer protection law coming in February. But many of these disclosures are in statement stuffers that consumers consider junk mail and just throw away. Among those changes are new annual fees, some of which only kick in when your account is "inactive" — in other words, when you haven't charged enough. Balance transfer and foreign transaction fees are also on the rise. Balance transfer fees, once 2 percent to 3 percent, are now hitting 4 percent and 5 percent, said Bill Hardekopf, founder of LowCards.com. And foreign transaction fees — essentially a service charge to do business with a foreign retailer — are typically 3 percent of the amount you charge (or take out of an ATM) when overseas. These fees don't pay for currency conversion, bankers say. That's charged separately. Worse, said Detweiler, foreign transaction fees are now being levied on U.S. consumers buying goods and services in the U.S., but from a foreign vendor. Watch what you buy on Amazon.co.uk. So let's say you've had enough and you've decided to flee your bank for friendlier environs. "A new trend among banks is to charge you if you transfer money to other banks," said Joe Ridout, consumer services manager at Consumer Action in San Francisco. For instance, Bank of America charges $50 if you want to move your IRA to another institution. U.S. Bank levies a $30 fee. "The fees are common practice in the industry," said Matt Case, a Bank of America spokesman. There's no charge to transfer money in, of course. Says Ridout: "When you don't charge to bring money in, but you charge to send it out, the bank turns into a roach motel, where your money checks in, but doesn't check out." • Can Shareholders Take Revenge at Bank of America?